From John Wilkes Booth to Lee Harvey Oswald, there have been fourteen assassination attempts on the President of the United States. But what's scariest of all is what all four assassins have in common. Beecher is about to find out the truth: that over the course of a hundred years, all four assassins were secretly working together. What was their purpose? Who do they really work for? And why are they planning to killing the President today? Beecher's about to find out. And most terrifying, he's about to come face-to-face with the fifth assassin. Brad Meltzer's book The Mystery Writers of America Cookbook was available from LibraryThing Early Reviewers. Brad Meltzer is currently considered a "single author." If one or more works are by a distinct, homonymous authors, go ahead and split the author. 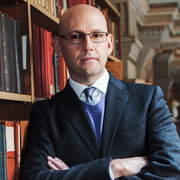 Brad Meltzer is composed of 11 names. You can examine and separate out names.